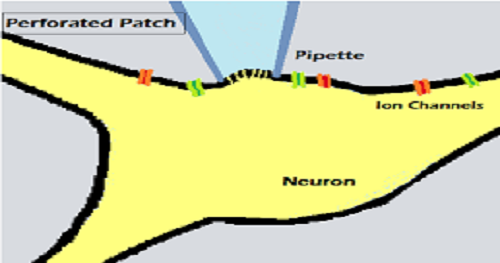 Patch Clamp: is a technique used in laboratories to study ionic currents in individual isolated living cells, tissue sections, or patches of cell membrane. This technique is significant in the study of excitable cells such as neurons, cardiomyocytes, muscle fibers, and pancreatic beta cells. It can also be applied to the study of bacterial ion channels in specially prepared giant spheroplasts. There are currently no items matching "Patch Clamp".